Neuro-Linguistic Programming is so spot-on that most people who learn NLP realize it should be taught in primary school. By the end of this article, you may agree! What is your experience with NLP? None - this is all new to me! I've read some NLP books. I've had some NLP training. Neuro-Linguistic Programming is a set of skills that reveal the kind of communication that matters most – on the inside and out. Neuro: Referring to the mind or brain, particularly regarding how states of mind (and body) affect communication and behavior. NLP teaches a structural way of viewing mind and body states, developing mental maps that show how things happen and how to change course. Linguistic: Meaning that our mind and body states are revealed in our language and non-verbal communication. Language is the tool we use to gain access to the inner workings of the mind. Neuro-linguistic programming language patterns teach us how to access unconscious information that would remain vague and unknowable otherwise. Programming: This refers to the capacity to change our mind and body states. You’ve heard the term living on autopilot, right? To someone trained in NLP, this would mean that you are living according to your programming, which consists of habitual thoughts, feelings, reactions, beliefs, and traditions. Someone trained in neuro-linguistic programming knows how such programs are structured in the mind and how to access them through conversation (language) so that outdated programs and autopilot behaviors can be changed. How does NLP work in real life? During conversations, most of us fixate on words. What does this person mean and what shall I say in return? It’s been long established that words are the least meaningful aspect of communication, conveying just 7% of meaning (Mehrabian, 1972). For example, when someone tells you they’re willing to help you organize a social gathering, but their voice is flat and their facial expression looks like you just invited them to an evening of electric shock torture…it’s obvious something else is going on. Their words said YES, but the non-verbal communication – the other 93% – said SOMETHING ELSE. What is Neuro-Linguistic Programming? The other 93% of communication. NLP is a system for understanding and using the communication that really matters. Master non-verbal communication and you become a communication master! Most people don’t realize that communication is made of so much more than interactions between people. There exists an entire world of communication within your mind and body. Inner life – your mindset, attitude, and feelings – is an active form of communication. The most important communication is not between people but within people. Inner communication is a strong suit of Neuro-Linguistic Programming, which was originally known as the study of the structure of subjective experience. This is a fancy way of saying that NLP breaks down what’s going on between your ears so that you can do something constructive with it. Here’s a taste of how it works. Let’s say you’re having friends over for dinner and you’re feeling extra tense. You’re not sure why. Everything seems fine, but you’re feeling on edge. An NLP Practitioner could figure out how you’re creating this tense state in a few moments. It’s all about how you’re communicating with yourself on the inside. • You’re seeing your house all messy as the guests arrive. • Looks of disgust on their faces as they eat. • You’re sitting alone in your house because no one showed up. And so on. The point is: You probably weren’t consciously aware of all the inner communication channels. If you’re feeling tense about dinner, you’re probably imagining how badly it could go and responding to this unconscious imagery and sound. The tense feelings are a mirror of the other channels. This is why Neuro-Linguistic Programming claims that people are not broken. We simply respond to inner communication, whether or not we’re aware of it. So, if you’re picturing bad things, happening at your dinner party, you’re going to feel tense. You’re working perfectly. When you become aware of how you are perfectly creating a mindset you don’t want, you can change it. Neuro-Linguistic Programming offers a vast library of methods to change our mindset once we identify it. Transforming the inner communication so that you feel better is the Programming aspect of NLP. The NLP Research and Recognition Project, founded by clinical psychologist Frank Bourke, PhD, is a not-for-profit organization created to expand the clinical investigation into Neuro-Linguistic Programming. Bourke received his doctorate in clinical psychology at the Institute of Psychiatry in London and has been using NLP clinically since the early 1970’s. A common question among those seeking training in Neuro-Linguistic Programming is, “Is there any research to back NLP?” The answer is a resounding yes. The results NLP practitioners have experienced for decades are now being codified into clinical research. Although Jon Grinder and Richard Bandler often receive most of the credit for originating Neuro-Linguistic Programming, NLP was actually founded by a group of people who made consistent contributions. This group includes Grinder and Bandler as well as Frank Pucelik, Robert Dilts, Judith Delozier, Leslie Cameron, David Gordon, and others. 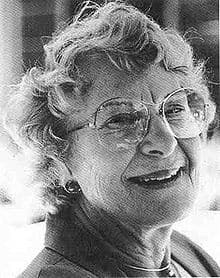 At the University of California, Santa Cruz in early 1970s this enlightened group set out to discover the specific communication patterns that enabled outstanding psychotherapists – including Milton Erickson (famous psychiatrist/hypnotherapist), Virginia Satir (founder of Family Systems Therapy), and Fritz Perls (founder of Gestalt Therapy) to achieve uncommon results with their clients. By direct observation and videotape analyses, they were able to break down these practitioners’ effective patterns of communication and teach them to others. The process used to discover the magic in transformative communication was called modeling. Many consider modeling to be the heart and soul of Neuro-Linguistic Programming. When you know how to create models based on the expertise of others, you can learn and teach any new skill in its essential form. Their first discovery was that Satir matched her predicates (verbs, adverbs, and adjectives to those of her clients without being aware of doing so. Some clients would use visual predicates mainly, while others used auditory or kinesthetic predicates. This led to the proposition that for any person, one of the senses (seeing, hearing or feeling) is more highly valued and is reflected in the words that he or she selects. 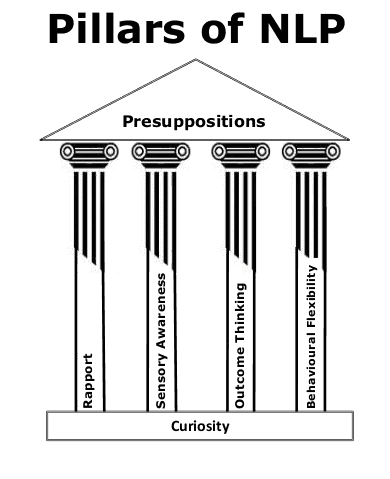 When Satir matched her words with the predicates her clients used, the clients appreciated that Satir understood them. This created rapport, which made her interventions more acceptable. Next, Grinder and Bandler discovered eye accessing cues which are movements of the eyes, may indicate whether one is using pictures, words and sounds, or feelings when thinking, remembering or learning. For instance, when a right-handed person looks up towards the left, he is probably remembering visual images. 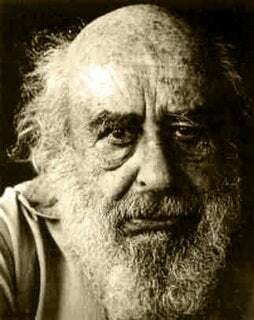 Subsequently, Grinder and Bandler, after studying Milton Erickson, refined the linguistic patterns used by therapists to effectively influence people’s behaviors. NLP provides an important gift to build relationships with other people. Rapport can be described as connecting quickly with others. Creating rapport creates trust from others. Rapport can be built quickly through understanding modality preferences, eye accessing cues and predicates. Sometimes when you walk into someone’s home, you notice that the colors, smells, and sounds are subtly quite different from yours. Neuro-linguistic programming enables you to notice that your world is much richer when you deliberately pay attention to your senses wholly. An outcome is your goal for doing something. Outcome connects to thinking about what you want, as opposed to getting stuck in a negative mode of thinking. The principles of outcome approach may help to make the best decisions and choices. Behavioral flexibility means being able to do something differently if the way you’re currently doing it isn’t working. Being flexible is a key aspect of practicing NLP. Learning NLP helps you to find fresh perspectives and to build these habits into your repertoire. There are many organizations that oversee, organize, and often accredit training centers. All NLP organizations agree to the following levels of NLP training, which can be found at many NLP training centers. However, this does not mean that one can move from training center to training center, hoping to acquire the next level of training. Often training centers have their courses build on the previous course content. Therefore, it is best to either commit to taking all your training at one center or checking with the training centers prior to starting your NLP journey. NLP Practitioner is the first level of NLP training. There is generally no requirement of NLP experience, and anyone can enroll. An NLP Practitioner training encompasses learning the basic elements of NLP, as well as the techniques of combining these elements to apply them with skill and elegance. This training provides a series of skills and strategies for success, as well as creating value in life. Thus, it includes addressing challenges in relationships, business, family, as well as education. Learning to solve such issues leads to greater personal growth. A quality NLP practitioner course usually involves projects of real-life application of the NLP Skills. These skills help others to overcome fears and phobias, in addition to learning greater confidence. An NLP Master training builds on the Practitioner level material in more depth or adds more complex techniques and models. Some of the key areas addressed include modeling and language. In this level, people develop skills to change beliefs and values in themselves and in others that better fit their lifestyle, family, and work systems. Master training usually covers developments in communication techniques. These may include quantum linguistics, discovery and retraining of the unconscious behavioral competence, and why people think differently and how they do it, which is our individual values. Training may also cover filters to our personality – Meta Programs, which are advanced strategies, advanced NLP submodalities, mediation skills, and also advanced linguistic negotiation. Each training center has their own set of courses they specialize in. Taking the NLP master course is vital for completely transforming your business, health, as well as relationships. Taking this training enables you to expand and profit in substantial ways. NLP Trainers train NLP Practitioners as well as NLP Master Practitioners. This program enables discovery of your unique identity as a trainer and as a presenter, which is what makes a difference. A person learns how to be confident, which allows them to have fun and be at ease in front of people. This training prepares you to become a charismatic and transformational presenter. It delivers skills and techniques to successfully influence groups, to understand, analyze and coordinate group processes, and also the mastery of skills to be a charismatic presenter. Upon completion, a person is able to present in front of groups of any size with perfect confidence. Training in Neuro-Linguistic Programming was originally conducted in live, group settings. It was thought that NLP needed to be taught in person to really be understood. However, over the years and with the development of the internet, online training has become more popular and accepted as an effective training style. Additionally, some centers offer a blend of online and private training. There are many benefits to online training as the ability to learn the material and practice it in your daily life before moving on to new material and techniques. Make sure to ask as many questions as needed to find out if the NLP training center meets your criteria. 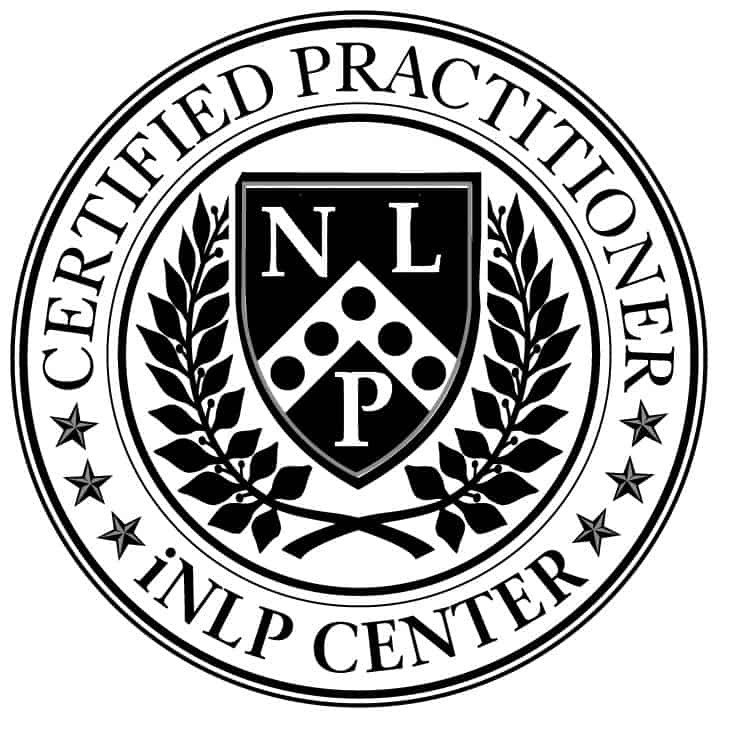 iNLP Center offers a comprehensive NLP Practitioner, NLP Master Practitioner, and NLP Trainer program, as well as NLP Life Coach training that will prepare a student for work as an NLP coach, NLP trainer, or to simply enhance their current career. "What a fantastic introduction to NLP. This was a great way to get started without getting overwhelmed. These techniques are so simple, I am excited to share what I have learned and to continue learning how to improve myself." "I love the idea of curiosity and keeping an open mind. The questions you ask yourself will either improve your results or else they won’t. I also love how you went through the self-sabotage in the video – it is so good to be aware of what can hold us back. Thanks for encouraging us to be explorers:)." "This is a great course with a well structured curriculum. For some time I have considering to take an NLP class, luckily I have found the iNLP center and this online course." "WOW! At first glance, i thought i was on another planet! Trying to understand and define the meaning of these words. However with the explanation of Mike Bundrant and my full conscious in place. I found it, both understandable, and most informative. Looking forward to learning more." "I was very impressed with the way Mike handled the “ethics” connundrum. Whenever I hear a discussion of NLP and in particular generating rapport, I also hear the question regarding whether or not this is ethical. This is the first time I’ve heard the clever reframe of learning a foreign language. It’s a great point, because understanding rapport and using it well really is akin to learning and speaking a foreign language. Nice way to handle this!"